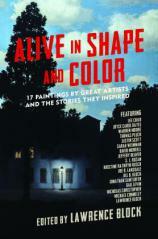 ALIVE IN SHAPE AND COLOR is not so much a sequel as it is a companion work --- or what editor Lawrence Block describes as an “encore” --- to 2016’s IN SUNLIGHT OR IN SHADOW: Stories Inspired by the Paintings of Edward Hopper. It expands the canvas and varies the palette just a bit by utilizing paintings from a number of sources across time and distance as inspiration for an entirely new and different collection. What we are now given are 16 wonderful stories by 16 authors based on 17 paintings. The discrepancy between the number of tales and the number of paintings is forthrightly explained by Block in his foreword, which is worth the price of admission all by itself. Readers will not feel shortchanged in the least by the seeming absence of one story, as there is more than enough to feast on here. Many of the authors whose stories were on display in the first volume make return appearances, as do a number of scribes from a varied range of fictional disciplines. When approaching a collection such as this, I tend to read the stories in the order presented, on the theory that the editor had a purpose in placing them that way. "What we are now given are 16 wonderful stories by 16 authors based on 17 paintings.... Readers will not feel shortchanged in the least by the seeming absence of one story, as there is more than enough to feast on here." That said, I could not resist immediately jumping to Michael Connelly’s “The Third Panel,” inspired by the third panel of The Garden of Earthly Delights by Hieronymus Bosch. Of course, I expected a story featuring Connelly’s iconic Harry Bosch, and I was so wrong. Set mostly against the backdrop of a crime scene, “The Third Panel” almost seems to be the introduction to an entirely new series by Connelly, set in a southern California where Bosch does not exist. It’s an intriguing tale that resonates strongly long after it has been read. Similarly, “Pierre, Lucien, and Me” by Lee Child --- set in 1928 and inspired by Bouquet of Chrysanthemums by Pierre-Auguste Renoir --- has nary a mention of Jack Reacher. Rather, it concerns the reminiscences of a con man as he contemplates the last strands of his life and considers an act of redemption. It’s quite a different story for Child but still a very good one. David Morrell’s “Orange Is for Anguish, Blue for Insanity” pulls off a neat trick by not being tricky at all, as an academic obsessed with the work of a famous painter goes to the ultimate length to discover the secret behind the artist’s work and gets much more than he asks for. The story transcends mood and genre within a (relatively) few pages and proves once again that Morrell is truly one of our greatest contemporary authors. Jeffery Deaver’s use of the cave paintings at Lascaux would make his story “A Significant Find” worth reading all by itself. But his ability to make some of the earliest examples of primitive art relevant to our modern world --- thus demonstrating that some things never change --- makes this story, about an unexpected art discovery with the possibility of changing history, sobering and haunting. “A Significant Find” reminded me, in a way, of some of the best of the EC horror comics. I don’t have a higher compliment than that. Discoveries also play a part in “Truth Comes Out of Her Well to Shame Mankind” by Thomas Pluck. Pluck slices in and out of the present and the near and distant past in this story about an archaeological dig that uncovers the history of two of its participants as well as that of an upheaval of a society lost to antiquity but about to be rediscovered. My notes on that story included the phrase “What goes around comes around.” Just so. While I don’t have a favorite here, if I was forced to pick one, it might be Joe R. Lansdale’s “Charlie the Barber,” which takes its source material (Norman Rockwell’s First Trip to the Beauty Shop) and turns that innocent milestone commemoration into a fine piece of Texas noir, as a barbershop acquires a couple of unwanted and dangerous customers at closing time. Or maybe my favorite would be “Safety Rules” by Jill D. Block, which presents what might be the classic internal dialogue of a prospective juror who really shouldn’t be on a jury at all. Or should she? It’s a question that probably will be asked and never fully answered for as long as we have trials and juries. On the other hand, I love stories that are full of kismet. Both “Girl with a Fan” by Nicholas Christopher, about a promise made to a young girl and fulfilled long after she attained her adulthood, and “The Big Town” by Sarah Weinman, about heritage and love lost and regained, fit that bill. But then how could I forget the Hitchcockian overtones of “Gaslight” by Jonathan Santlofer, in which a wife suspects her husband of attempting to poison her? There are also worthy stories by Gail Levin, Warren Moore, Joyce Carol Oates, SJ Rozan, Kristine Kathryn Rusch (whose “Thinkers,” I am thinking, is almost certainly not fiction) and Justin Scott. 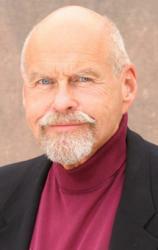 Consider those authors and the stories that comprise ALIVE IN SHAPE AND COLOR. An encore? I would beg to disagree with Mr. Block. It deserves an exhibition all its own.